Born in 1952 in New York City, USA, Dr. Golden began learning jazz piano with Kenny Barron and Billy Gault at the Jazzmobile School. He later studied music composition with Tomas Svoboda, William Bergsma, William O. Smith, and Diane Thome, music theory with Jonathan Bernard, and music history and ethnomusicology with Robert Trotter and Christopher Waterman. 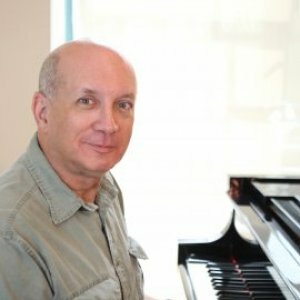 His compositions have been performed on six of the seven continents, including throughout the US, and include regional and national commissions and scores for film and theatre productions, along with numerous jazz works. Professor Golden’s current research interests stem from his focus on musicking as a universal human behavior. They include work in ethnomusicology, music psychology, music and ecology, creativity, and music in peacebuilding activities. In addition to his responsibilities at SUA, Dr. Golden serves as a Research Fellow with the Min-On Music Research Institute. (from Last Words) (2007). Easter in Italy/Africa in America. (2004). American Music for Violin and Piano. (1997). Bouquet. Patrick Kearney, guitar. University of Washington: D. M. A. University of Oregon: M. M.
University of Oregon: B. M.
A survey of ethnomusicological studies of traditional cultures from around the world shows that, although the specific functions attributed to music are diverse, a common thread is that they involve connecting us to our environments: social, physical, and/or metaphysical. After proposing this as a definition of musicking, I consider this phenomenon in the context of the work of Maturana and Varela (the Santiago theory of cognition) and their successors. Human musicking can be understood as continuing the development of processes essential to all living things in their interactions with their environments, in other words, as an emergent property of life itself. The aim of this article is twofold: first, to confirm the multi-level linkage between the ecological and social realms in terms of violence, peace, and education, and second, to explore what light ecological thinking can shed on musicking as a potentially effective tool in peace education. The effects of violence in the ecological and social realms are clearly linked, but so are the causes (patterns of thought and behaviors) that lead to violence in each realm; these common causes (which Galtung refers to as ‘fault-lines’) are what need to be addressed, holistically, in peace education. The second aim requires two steps. First, based on meta-analysis of work by ethnomusicologists in diverse cultures, I propose a way of conceiving of human musicking as essentially an ecological behavior, one that has emerged to support the essential process of connecting us to our environment, connecting our inner and outer worlds. Beginning from this conception, I apply recent work in various ecology-related disciplines to show that this characteristic function of musicking makes it well-suited for addressing the root causes of violence in both social and ecological realms. Finally, looking at the challenges and goals of peace education through the lens of ecological thinking, I propose some practical applications, supporting ideas, and suggested models for implementing musicking activities in this endeavor.